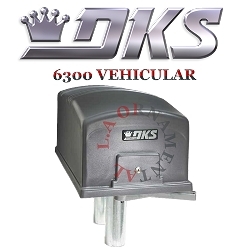 DKS 6300 series are designed to operate vehicular swing gates in residential, commercial and industrial applications. 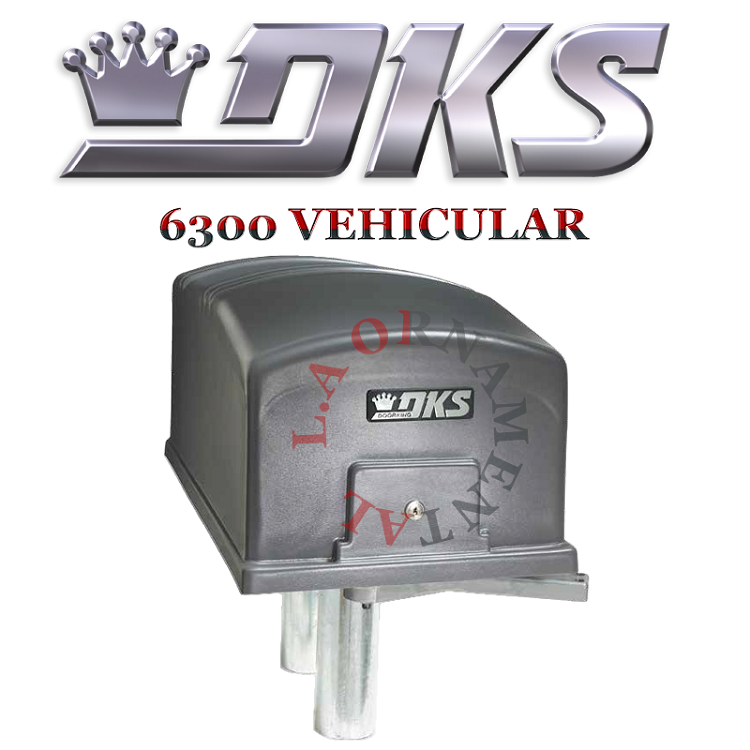 DKS 6300 are designed so that they can be either pad or post mounted without any costly and time consuming field modifications. You need to specify which mounting method when ordering. The unique design of these allow the gate arm to be attached to the bottom rail of the gate. This eliminates the need for any brackets to be welded to the face of the gate and creates an aesthetically pleasing installation. DKS 6300 can be equipped with a factory installed DC Convenience Open option which will automatically open the gate in the event of a power outage. Master / slave connection cable (slave operator is shipped with 50-feet of cable). Post or pad mount - specify which.